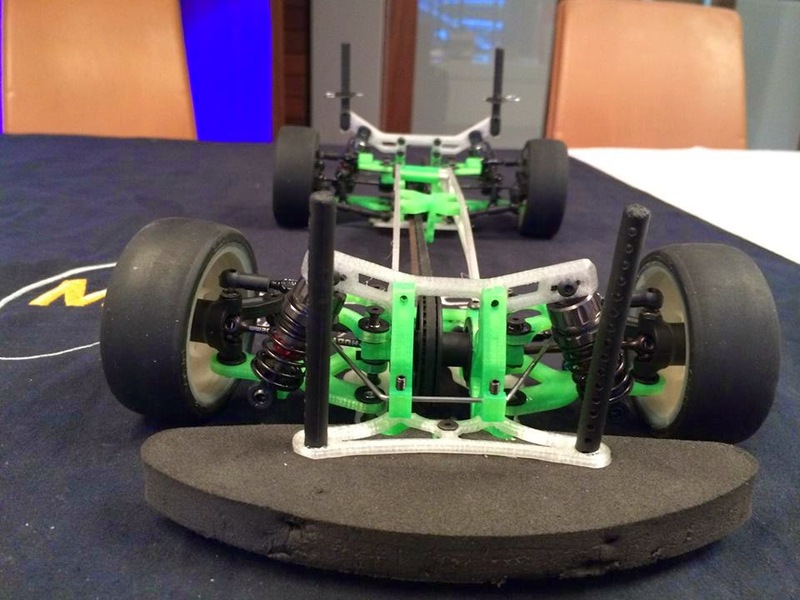 Here is the early prototype, the materials are all temporary, and no chassis plate is installed. 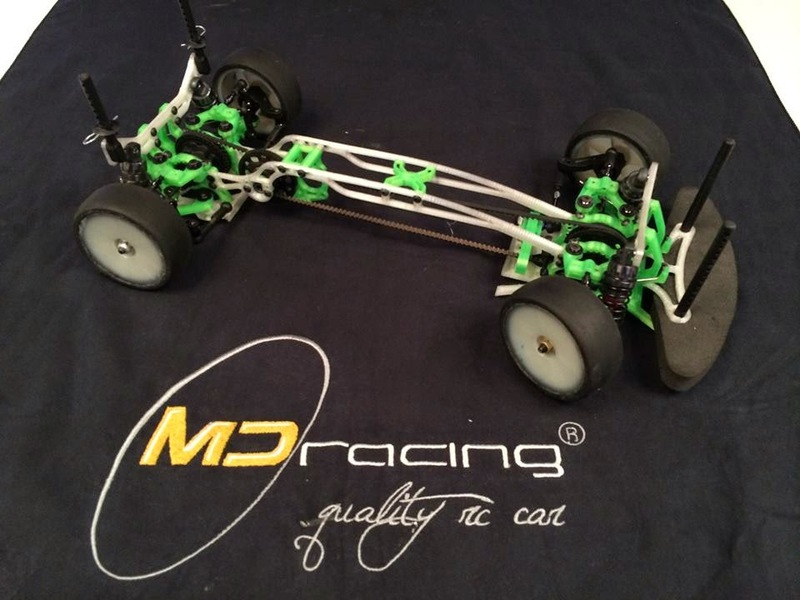 MD Racing are relative new comer on the RC scene. They have a great F1 car called the MDF14, and now they have announced a rather interesting new 1/10 touring car called the MDT15. The car looks really interesting with a fair few changes to the conventional TC. It has double A-arms that give the car no C-hubs. The bulkheads are also quite different, they are an open L shape that will allow you to change the diff easily without having to remove your shocks etc. 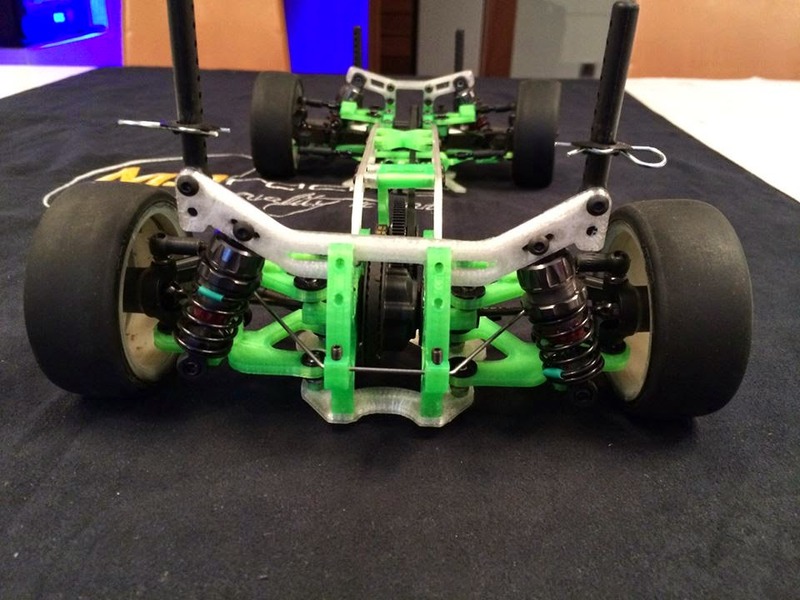 The main frame is also interesting, similar to the VDF Tamiya (and Mi5) style that allow the car to flex from left to right whilst still keeping the longitudinal strength. 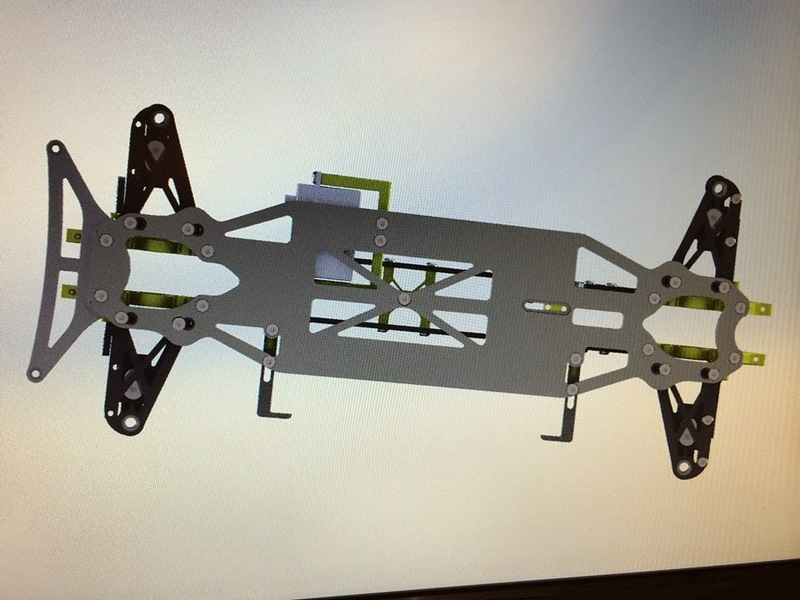 This cad drawing shows the chassis plate, narrow with the classic stick pack down the side. The Rear design has additive rear toe, this is nothing new in TC racing, but its been revised and a few manufacturers have started looking at it again including X-Ray and ARC racing. Personally, we are really interested to see the development of this car, it's great to have more choice in our 1/10 class and there are some great alternatives to choose from. What do you think? What would you like to see on the next wave of TC's?